The CNN news channel has never had any "big proof" to back their stories about the Trump campaign's alleged ties with Russia. Finally, you can hear it from a CNN employee: caught on a hidden camera CNN producer John Bonifield admitted that the news channel had been circulating the "Russia story" not because it's true but because it sells. The CNN news channel loves the "Russia story" not because it's true but because it makes their ratings skyrocket, US conservative political activist James O'Keefe of Project Veritas discloses in his new series called "American Pravda." In footage taken on a hidden camera by a Project Veritas journalist, CNN producer John Bonifield admitted that the news channel had been circulating the story of the Trump campaign's alleged ties with Russia having no proof to back the narrative. According to Project Veritas' estimates, since Donald Trump's inauguration CNN has mentioned Russia on air 15,694 times. At the same time, in May, CNN's ratings were significantly higher when they were the year before. "Our ratings are incredible right now," the CNN producer boasted. "It's a business, people are like the media has an ethical phssssss…. All the nice cutesy little ethics that used to get talked about in journalism school you're just like, that's adorable. That's adorable. This is a business," Bonifield said, stressing, "[Donald] Trump is good for business right now." "The CEO of CNN said in our internal meeting… good job everybody covering the climate accords…. But we're done with it, let's get back to Russia," Bonifield remarked citing Zucker. "It's mostly bullsh*t right now," Bonifield said commenting on CNN's Russia narrative. "Like we don't have any big giant proof." "I just feel like they don't really have it but they want to keep digging," he continued. "And so I think the president is probably right to say, like look, you are witchhunting me. Like you have no smoking gun, you have no real proof." However, it appears that the CNN producer doesn't believe that anything damning about Trump and his much discussed "ties with Russia" will surface anytime soon. According to Bonifield, if there were something damning it would have already been leaked. "They say, well there's still an investigation going on…. I don't know, if you were finding something, we would know about it. The way these leaks happen, they'd leak it. It'd leak. If it was something really good, it would leak," Bonifield said. Likewise, the CNN producer seems to be skeptical about the story of Russia's alleged meddling in the US 2016 presidential election. "Even if Russia was trying to swing an election," he said, "we [the US] try to swing their elections, our CIA is doing sh*t all the time, we're out there trying to manipulate governments." So, even knowing the truth the CNN journalists couldn't help but disseminate "fake news" in order to get ratings. However, it seems that finally "corporate greed" has done a disservice to the news channel. On Saturday the broadcaster took down its new "Russia story" which linked Anthony Scaramucci, a member of Trump's transition team, with the ongoing Russian investigation. "On June 22, 2017, CNN.com published a story connecting Anthony Scaramucci with investigations into the Russian Direct Investment Fund. That story did not meet CNN's editorial standards and has been retracted. Links to the story have been disabled. CNN apologizes to Mr. Scaramucci," CNN wrote on the page where the article used to be. 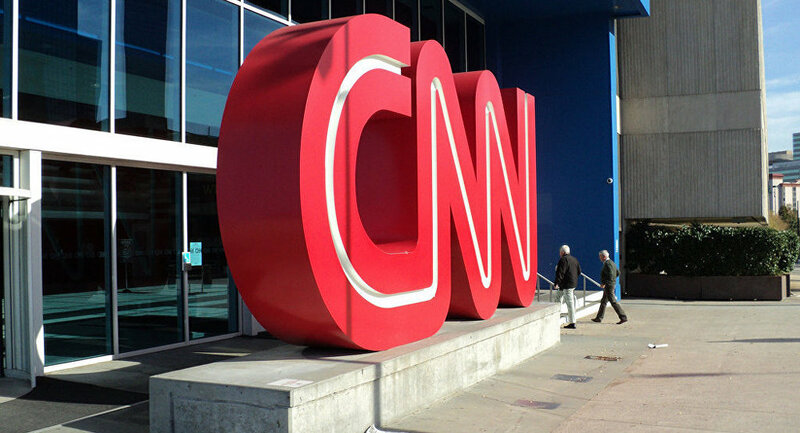 It was also reported that three staffers with US media outlet CNN resigned over the controversial story. According to Politico, CNN accepted the resignations of Pulitzer Prize-nominated journalist Thomas Frank, assistant managing editor Eric Lichtblau and executive editor in charge of investigations, Lex Harris. — Donald J. Trump (@realDonaldTrump) 27 июня 2017 г. "Wow, CNN had to retract big story on 'Russia,' with 3 employees forced to resign. What about all the other phony stories they do? FAKE NEWS!" Trump tweeted, commenting on the matter. On Monday, BuzzFeed News revealed that following the incident the broadcaster has imposed "strict new publishing restrictions for online articles involving Russia." "The very purpose of journalism is to expose the world for what it is, not to create false political narratives in order to make money," O'Keefe emphasized. Meanwhile, polls show that American voters have grown weary of the much-discussed Russia probes. Citing the latest Harvard-Harris Poll survey, The Hill reported Friday that "64 percent of voters said the investigations into President Trump and Russia are hurting the country" while "56 percent of voters said it's time for Congress and the media to move on to other issues."